SICK’s analyzer solutions provide forward-thinking concepts for measuring tasks in the fields of emission and process measurement technology. Typical fields of application include emission and process measurements in power plants, waste incineration plants, cement plants, and the chemical industry. Two-dimensional inspection or counting tasks are important in automation. SICK’s automation light grids can be used in a number of these solutions, such as detecting and counting irregularly shaped objects, people and vehicles, and checking for presence and pallet overhang detection. The tasks are so versatile that one light grid cannot fulfill the requirements of every application. Light grids from SICK offer multiple ranges, heights, sizes, orientations, and resolutions which simplify integration through high flexibility and performance. The LiDAR (Light Detection and Ranging) laser measurement technology offers solutions for a wide range of applications. The two- or more-dimension contour data recorded can be processed both internally and externally. The technology is ideal for indoor and outdoor applications, for example anti-collision in ports, classification in traffic, detection in building automation, or position evaluation in navigation, for example. Whatever the weather, radar sensors provide reliable detection of any object which falls within their detection cones. This makes them ideal for collision avoidance and driver assistance. SICK has a wide range of optic and ultrasonic solutions that measure from sub-microns to kilometers. They solve measuring, detecting and positioning applications using triangulation and time-of-flight modes. Sensors using triangulation are ideal for short-range, highly precise measurement. They can inspect miniature parts, thickness and shape, etc. Time-of-flight sensors work at longer distances, are not influenced by reflectivity or ambient light − perfect for positioning AS/RS, rail cars and gantry cranes. SICK is setting new standards in dust measurement with its rugged and low-maintenance measuring devices for detecting and monitoring dust concentrations. All dust measuring devices are easy to integrate into existing applications – and offer straightforward installation and commissioning along with user-friendly operation. Paths, position, angle – an encoder is the ideal solution when it comes to precise position detection in industrial automation. The same applies to measuring revolutions and rpm as well as speed and acceleration. High-resolution optical encoders and extremely rugged magnetic encoders complement one another perfectly and permit exact measurements in all kinds of applications. Rotary encoders are available as incremental and absolute encoders. Wire draw encoders and linear encoders with a measuring element are available in linear measuring technology. Simple configuration and flexible programming options are important features of SICK encoders. For decades, encoders from SICK have impressed in countless areas of application. The new SICK encoder app supports you with an interactive encoder selection tool. The tool lists all of the details about the various products, including ordering information, sketches, product information, and CAD files. What's more, you can use the integrated bar code reader to call up app product information at your convenience. Simply scan the encoder's bar code to obtain all relevant product details. When installation space is extremely limited or the objects to be detected are tiny, fiber-optic sensors are the ideal solution. If it is necessary for even higher requirements to be fulfilled, such as sensing range, temperature resistance, material durability or a flexible mounting process, the intelligent combination of sensors and fiber-optic cables can provide the perfect solution. A wide range of fiber-optic cables with application-specific optical heads ensure that every need is met. Optimized control of process parameters is the main driver for increasing efficiency and reducing input of valuable resources. Whether it's pressure measurement, temperature measurement, level control or flow metering – SICK offers a wide range of solutions for measuring process variables for liquids, gases and bulk solids and protecting against overfill and dry run. SICK devices are rugged and easy to use. Innovative sensor technology enables accurate, universal measurement independent of material type. SICK offers a broad range of gas analyzers based on a variety of powerful measurement principles. With its in-situ and extractive measurement technology for equipping complete facilities, SICK can also provide solutions for a variety of systems and complex measurement tasks. Product traceability and anti-counterfeiting solutions require reliable automatic identification products. SICK offers the three most common industrial identification technologies: laser-based scanners for 1D codes, image-based 1D and 2D code readers, and RFID readers. Integrated interfaces enable the readers to communicate inside industrial networks and innovative functionality makes commissioning and operation easy. When it comes to selecting the best technology for identification tasks, there's no standard answer. Choosing the best solution depends on your challenge. With SICK you have that choice. Knowing the position of objects is essential for process automation in mobile applications in particular. SICK offers a wide range of inertial sensors for this purpose. The product portfolio ranges from conventional static through dynamic inclination sensors which deliver accurate position information at all times, even in accelerated applications. Integration products from SICK enable easy connection and networking of a wide variety of sensors at the field level as well as transmission of sensor data into the cloud. 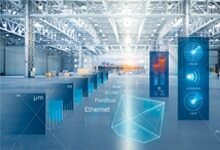 In keeping with Industry 4.0, the data is provided directly or in preprocessed form in order to operate higher-level processes such as predictive maintenance, track and trace and quality control. 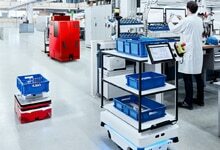 Line guidance is a straightforward and cost-effective type of navigation for automated guided vehicles (AGVs) and mobile platforms. It functions through a sensor on the vehicle that detects and tracks a line on the ground, the sensor outputs the deviation to the vehicle control. Optical or magnetic line guidance sensors can be used depending on the requirements. Our modular solutions portfolio for mobile platforms now makes it possible to implement line guidance, navigation, positioning, environmental recognition, security and load handling with ease. Innovative cylinder sensors from SICK. Features like ease of handling, the option of an analog output, optimum switching characteristics, suitability for use in the food and beverage industry, support for the latest IO-Link technology, and universal mounting options with our comprehensive range of adapters, magnetic cylinder sensors from SICK are equipped for all installation locations and conditions. Magnetic cylinder sensors from SICK ofter the perfect option for all conventional pneumatic actuators with C-slots. They are precisely tailored for different slot forms. Commutation, position and speed measurement with the corresponding number of interfaces used to require three sensors. Today, SICK motor feedback systems offer these functions in a single device. A consistent mechanical interface allows for a high level of flexibility. SICK motor feedback systems are also setting standards for electrical interfaces such as HIPERFACE® and HIPERFACE DSL®. They meet important requirements including temperature resistance, high resolution, and multiturn design. Certification to SIL2 permits implementation of the Machinery Directive as per EN ISO 13849. For a reversal of the direction of current, the polarity of synchronous motors used to be reversed via so-called brushes Current reversal is required for continual rotary motion. Opto-electronic protective devices are the first choice in order to implement maximum productivity for machines and plants. Unlike fences and doors, they do not limit during handling or material transport and provide a better view in the machine room. The broad portfolio comprehensively meets the requirements of hazardous point protection, access protection, and hazardous area protection. Coordinated complete systems can be built using a SICK-specific interface. SICK's vast range of photoelectric sensors offer precise optics and advanced technology, creating market-leading solutions with sensor intelligence. By using the latest SIRIC® and LED technologies, these sensors offer the highest level of operational reliability regardless of any interference factors. Additional sensor information can be used to simplify modern production processes. This extensive range of photoelectric sensors is used in many automation applications around the world. High-tech automation requires intelligent object detection. No matter how complex your requirements, SICK photoelectric sensors are the reliable solution for a wide and demanding range of applications in which a whole variety of challenges have to be faced. Proximity sensors provide non-contact detection of a wide variety of objects and media. SICK’s sensors are perfectly suited to industrial applications and requirements. SICK’s inductive, capacitive and magnetic proximity sensors offer a long service life, extreme ruggedness and the utmost precision. SICK intelligently and reliably solves industry-specific and individual automation tasks. The variety of tasks in automated production processes today, such as in packaging and printing machines, require sensors with the highest performance standards. Typical applications are the detection of visible and non-visible marks, labels and colors at high speeds as well as the detection of small parts and precise positioning. SICK offers a wide range of contrast, markless, color, luminescence, fork and array sensors to solve this wide spectrum of demanding tasks. Safety switches are indispensable in any application where safety is required for people and machinery. They are used for protecting movable physical guards, determining the position of dangerous movements, and the safe stop function. The portfolio is divided into electro-mechanical and non-contact safety switches, safety locking devices, and safety command devices. In conjunction with safe control solutions, SICK offers ideal complete solutions from a single source. In addition to reliable safety components, SICK also offers solution-oriented services and certified, ready-to-install safety systems in order to provide protection for machines and plants. When implementing their projects, plant operators can rely on experienced safety experts from SICK and receive comprehensive, economical safety solutions from a single source. As well as focusing on increasing productivity, intelligent machine design also delivers optimum quality and safety. sens:Control – safe control solutions by SICK meet these requirements. The product portfolio includes safe series connection, safety controllers and safety relays. The products impress with easy commissioning, modularity, and optimum integration into automation processes – for optimum interaction between human and machine. The SICK AppSpace eco-system offers the freedom and flexibility to implement customized requirements with tailor-made sensor apps. This enables completely new and adaptive solutions in industrial automation. Programmable devices constitute the hardware. The SICK AppStudio and SICK AppManager software tools are used to develop and manage the sensor apps. The SICK AppSpace Developers Club offers support and promotes developer networking. Intelligent software tools, high-performance programmable devices, and a dynamic developer community create a solid foundation for designing customized sensor solutions. SICK software products offer much more than simply integration into an automation architecture. They enable everything from enhanced sensor functions, to complete evaluation and analysis of sensor data, all the way through to control solution configuration and process sequence optimization. And that unlocks a whole new set of opportunities for applications. We use cutting-edge technology in our components when implementing our system solutions for factory, logistics, and process automation. Our range of services covers everything from ideas and consulting to implementation and after-sales service on site. The high quality of our components and the dedication and expertise of our employees validate the core concept behind SICK: outstanding solutions for demanding tasks. Added safety – fewer backups: These are the key requirements of traffic service providers. Intelligent traffic sensors are absolutely fundamental to ensuring state-of-the-art traffic guidance technology. With its sophisticated equipment for measuring visual range, visibility, and wind speed, as well as detecting overheight, SICK is helping to find solutions to these tasks. With various ultrasonic gas flow measuring devices SICK offers solutions for a large variety of measurement tasks and industries. These devices have one thing in common, however: state-of-the-art ultrasound technology from SICK. The devices are designed for custody transfer applications in the gas industry, the determination of volume flow in processes, the monitoring of emissions in industrial facilities, flow measurement in tunnels, and much more. Flow velocity measuring devices from SICK are used to measure air flow in traffic tunnels and mining applications. Vision solutions are ideal for automated inspection and measurement tasks. SICK’s 2D and 3D vision cameras can be used to solve a wide range of applications where there is a need to measure, locate, inspect and identify. Our vision products are built for industrial environments, carefully designed to leverage SICK's 60-plus years of experience with industrial sensors. When it comes to selecting the best technology for identification tasks, there's no one-size-fits-all solution. The option you choose is entirely dependent on the challenges you face in positioning, detection, inspection, and quality control.